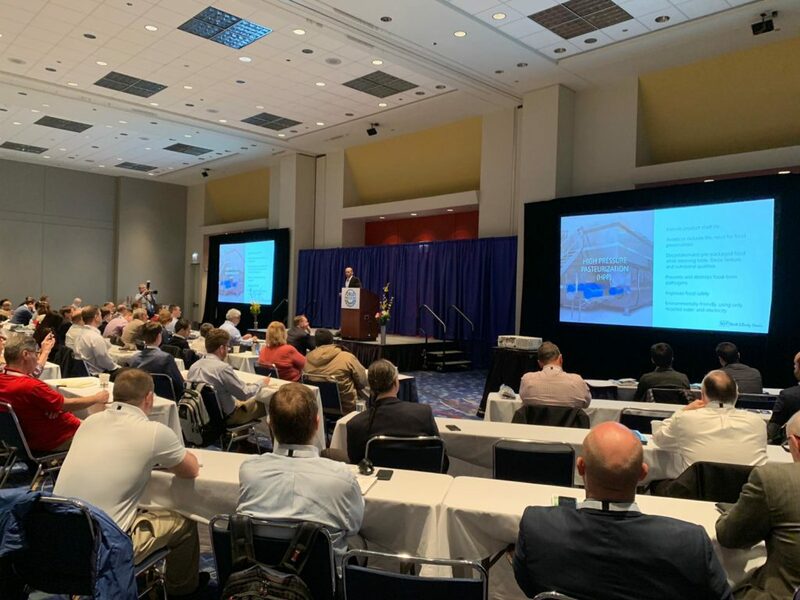 The second edition of the Annual Conference of the Cold Pressure Council came to an end, meeting high expectations of High Pressure Processing (HPP) enthusiasts from all over the world. 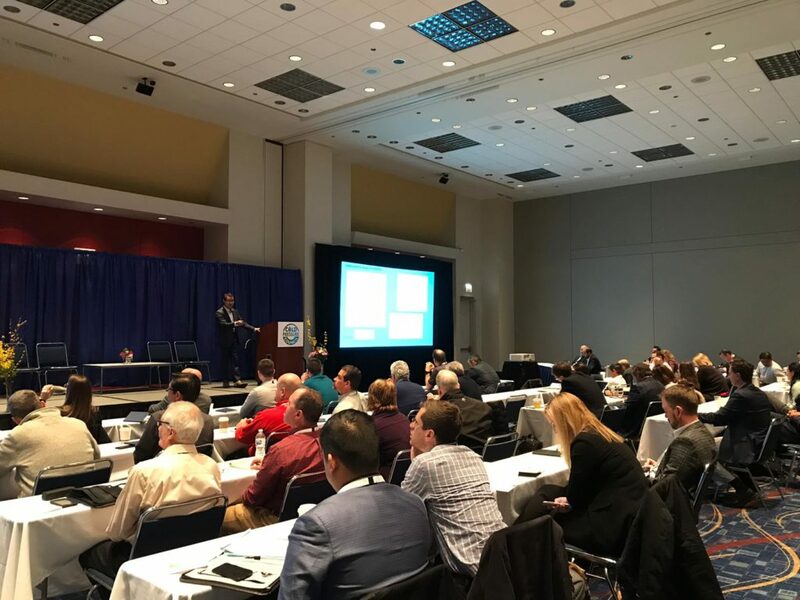 Around 150 attendees from more than 75 companies, research groups and regulatory entities joined this event to discuss about HPP best practices, market trends and food safety subjects. The Cold Pressure Council has been extremely busy this 2019. We shared in our previous article “Global Trends in High Pressure Processing (HPP) for 2019” the success and all the new achievements the CPC has obtained. The conference started with Lee Johnson, Vice President, Technical Services of West Liberty Foods presenting about the HPP success with Meats. This was a great opener thanks to all the insights that Lee shared with the audience. Everything from hurdles and how the overcame these to become one of the most successful HPP meat companies in the United States. One presentation that was for the books was the HPP use for Seafood, presented by Robert Verge, Managing Director of Canadian Centre for Fisheries and Innovation. Robert shared plenty of information in regards to seafood processing for shellfish extraction specifically for snow crab in Canada. He also shared a fantastic patent pending equipment for the butchering process after the HPP shucking. Both Breakout Sessions from day one were outstanding. We first heard Yanni Hufnagel, Founder and CEO of the Lemon Perfect Company. He shared his journey to develop Lemon Perfect and the incredible early success that he has had so far. Including how he leverages the use of the cold pressure council “High Pressure Certified” logo. Yanni’s enthusiasm was heard and felt when speaking about how HPP has enabled his product to be where he is. Simultaneously we heard speaker Dr. Marcia Walker, Vice President of Research and Development & Food Safetly Tofurky.Inc speak about how HPP can play a role in the growth of plant based protein product innovation. Certainly, there is an increase in obesity and related diseases which has made customers to turn to some flexitarian diets that focuses on eating non-meat choices. She explains the opportunity for HPP to play a role in creating clean label and fresh like plant based food products for consumers. Moderated by Joyce Longfield, Chairman of the CPC, this executive panel discussed the Global Growth of HPP. All panelists, discussed what made them start using HPP, hurdles in their own countries and how the overcame them. 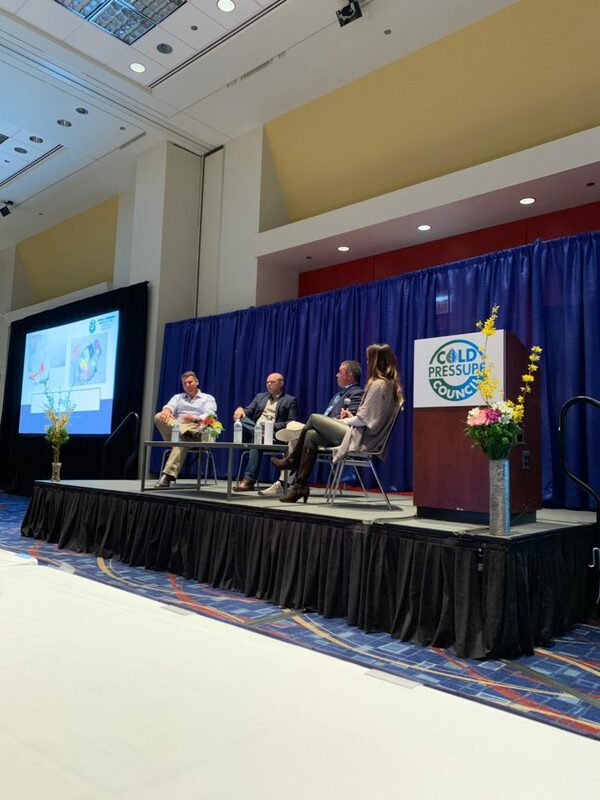 All coming to agreeing that High Pressure Processing is here to stay and that with the technology they have been able to stay present and relevant in the forever changing food industry landscape. As we all know, packaging is an incredibly important part of HPP success. We were able to see Daniel Tein, Founder of Teinnovations LLC to discuss Packaging Takeaways for your HPP Business. Hiperbaric team members were able to interview and discuss the success of the Cold Pressure Conference with Joyce Longfield, Chairperson of the CPC. 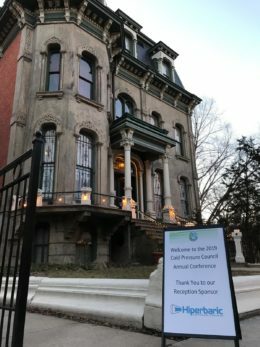 We were also curious about what is next for the Council in terms of 2019 and in her words: “Expansion is next, specifically in the logo program and memberships”. Thank you to everyone that attended! As one of the founding members and worldwide leader of the HPP technology, Hiperbaric is thrilled to take part on the CPC event. We extend our gratitude to the organizing staff of the Cold Pressure Council, as well as Tom Egan and the rest of PMMI collaborators for such an outstanding conference. Hiperbaric will continue participating actively within the Cold Pressure Council, and is already looking forward to take part on the Annual Conference next year.